Thank-you to everyone who commented on my last post. I'm not 100% sure I explained myself properly but thank-you, nonetheless. I've been working on a new layout but I'm still thinking about the colours, so it's not ready yet. I've also been working on some other things that have distracted me from this blog - nothing much, just time consuming for me. One idea I've had is to do a post roughly once a month on what I've been consuming lately, media-wise. A little roundup. For now, I'll stick to TV, movies, books and music. I spent all day trying to think of this title, by the way. A friend asked me if I watch Death in Paradise because she wanted someone to talk with about the latest episode she'd seen (her exact words were 'flail over' - we flail over TV a lot, together). I hadn't been watching but decided to look it up, and I'm so glad I did. It's a lot of fun and quite lighthearted (so far - I'm only halfway through series two and I suspect more feelings are going to be involved soon). It's set on the fictional Caribbean island of Saint Marie, and relies a lot on jokes about the lead English detective not acclimatising to life there. But the characters are great, especially Camille (pictured), who I just love. Even though I'm pretty easy to please when it comes to murder mysteries/detective shows, I'd definitely recommend this if you like detective shows. Last week I spent all Saturday in bed watching Russian and Czech movies from the 1970s, namely two adaptations of The Little Mermaid, both from 1976, and Valerie and her Week of Wonders. The Czech version of The Little Mermaid had these stunning 'underwater' sequences that were all filmed in a quarry but using lighting and movement and colour there was this real sense of it actually being underwater. It stuck a little closer to the original tale of The Little Mermaid, especially in its ending where the mermaid dissolves into sea foam. The Russian version deviated quite a bit but was also very beautiful. 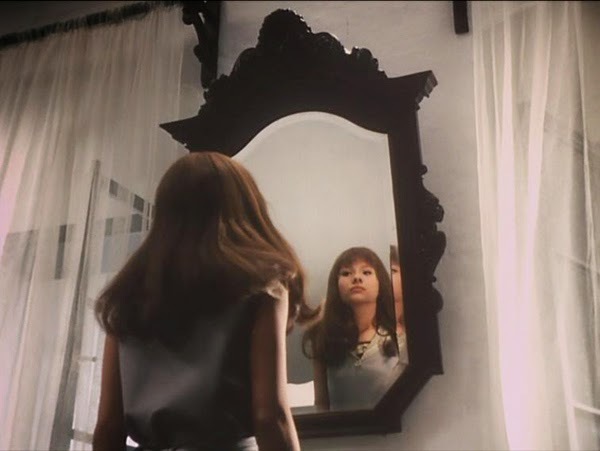 I felt like I probably missed a lot of the meaning of Valerie and her Week of Wonders (although I definitely got the Alice in Wonderland stuff) as I usually feel with surrealist work but I enjoyed it, nonetheless. It's beautiful and strange, two things I always appreciate in a movie. 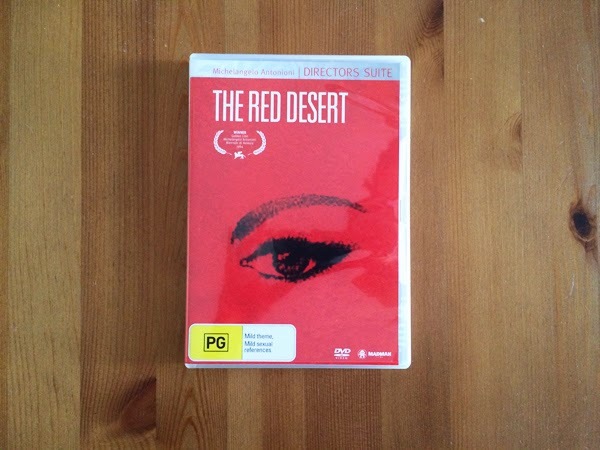 Before that I was going through some of Michelangelo Antonioni's films. I'd already seen La Notte, which I love, so I watched The Bride Wore Black*, Blow-Up, L'Eclisse and Red Desert, which was probably my favourite. 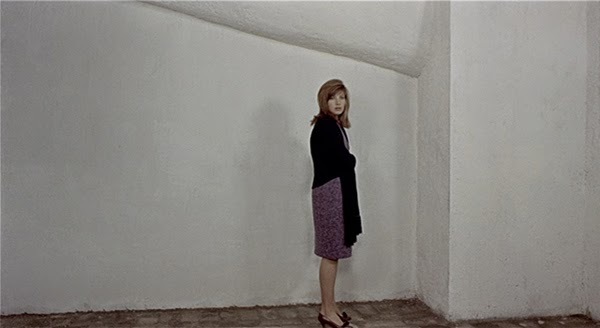 I love the women in Antonioni's films (which is probably why Blow-Up was the least successful for me). They're always going through a tumultuous point in their life, often deeply unhappy and uncertain, but not without the capacity for joy. I over-identify with them, I think. I'm still looking out for L'Avventura - I just love Monica Vitti. You can see what other movies I've been watching at my Letterboxd account. As much as I love reading I don't really do a whole lot. I can be a slow reader if I only just like a book, but if I love it I can devour it in a few days. I have a ridiculous amount of unread books, though (approximately 200 - no, really) so I'm trying to read more. 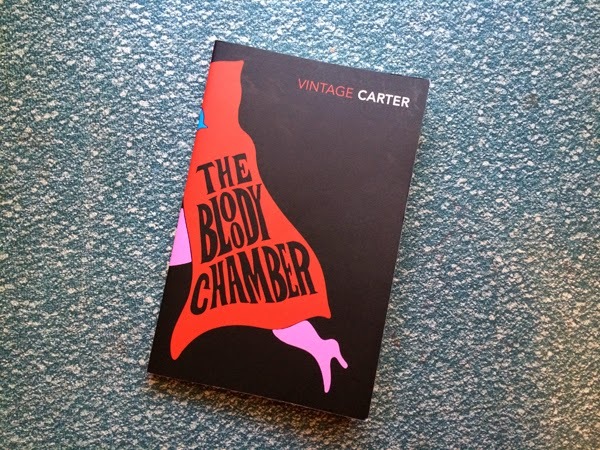 One of my favourites, lately, was Angela Carter's The Bloody Chamber and Other Stories. Her versions of well-known fairy tales are gorgeous. Dark and funny and feminine and clever. I've also been in a comic/graphic novel reading mood. I enjoyed Joss Whedon's Fray although I felt like it ended just as I was really drawn into the story. 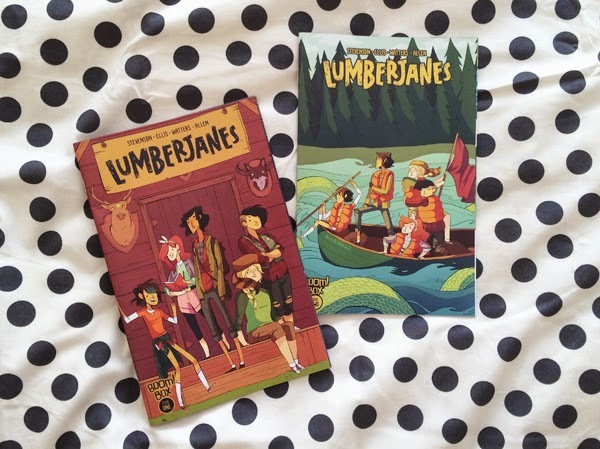 I've also been reading Rat Queens, Batman 66 and Gail Simone's Red Sonja, but I've especially loved the new series Lumberjanes, co-created by one of my favourite artists Noelle Stevenson. (She also runs a great web-comic Nimona). This comic is a lot of fun and adorable. It's about 5 friends at summer camp who discover some strange, supernatural happenings. There are some pop culture references and each issue has the tracklisting for a mix made by one of the five main characters in the back. So cute! 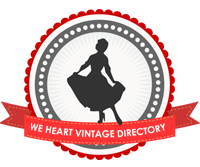 If you like stories about interesting women/girls, definitely check it out. Well, I haven't been listening to anything obsessively lately but today I'm listening to Hunx and His Punx while I type and tidy and what-not. Good tunes! *For some reason I added The Bride Wore Black in here but it's actually a Truffaut film. Don't know why I did that! Ugh ugh ugh, I want to read Lumberjanes so badly but I just have to be patient and wait for the eventual (fingers crossed!) trade paperback. I can't do the individual issue thing anymore because the little chunks of story are never satisfying. Also Nimona is totally amazing. Awww I didn't know Hunx and His Punx! Really nice! Hunx and His Punx--glad you posted the MV, I really like the whole 50s/80s aesthetic!